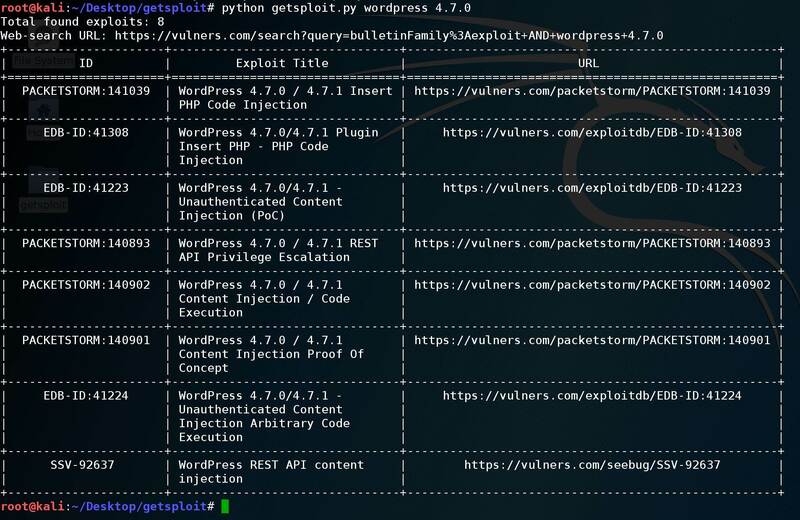 Command line search and download tool for Vulners Database inspired by searchsploit. 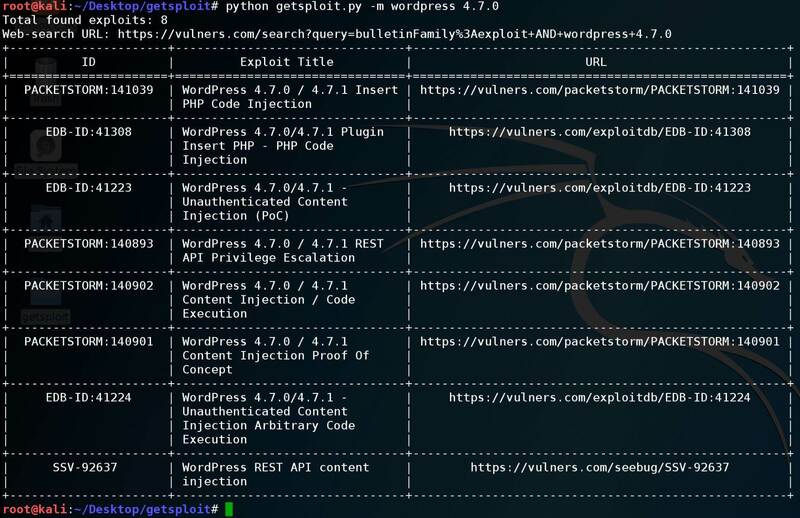 It allows you to search online for the exploits across all the most popular collections: Exploit-DB, Metasploit, Packetstorm, and others. The most powerful feature is immediate exploit source download right in your working path. Refactoring for getsploit to use official Vulners library.